This is the fourth in a series of profiles on the Dallas Stars’ amateur scouting department as we inch closer to the 2012 NHL Draft in Pittsburgh on Friday and Saturday, where the Dallas Stars are set to make the 13th pick in the first round, as well as seven more selections. Stars fans might not be as familiar with this year’s crop of future NHL stars as an NFL fan would be with a top Penn State linebacker or USC quarterback, for example. But rest assured, the Stars’ extensive group of amateur scouts is extremely familiar with them. When the NHL Entry Draft is held later this week, the first round will receive a lot of attention. Specifically, there will be three hours (and them some) of television coverage breaking down and analyzing the selections, many of them blue-chip, can’t-miss prospects who will go onto star in the NHL. There will be even more coverage in the days following. The selections in the later rounds, those players picked in the back half of the draft, won’t get as much attention. Some will get very little coverage at all, except maybe in their hometown newspapers. But you can be sure that there will be a few hidden gems in the draft, products of shrewd scouting who go on to make their mark in the game. There always are. Some of those late round picks in NHL drafts have turned out to be among the biggest names in the game: Brett Hull (117th), Luc Robitaille (171st), Doug Gilmour (134th) and Dominik Hasek (207th). There are several late round picks among the biggest stars of the game today: Pavel Datsyuk (171st), Henrik Zetterberg (210th), Henrik Lundqvist (205th) and Pekka Rinne (258th). Jamie Benn won the shot accuracy event at the 2012 All-Star Skills competition. 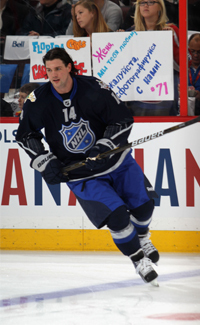 The Dallas Stars found their own late round gem in 2007, picking forward Jamie Benn in the fifth round with the 129th overall pick. How far the 22-year-old Benn will climb in his NHL career is still to be determined, but if that 2007 NHL Draft were to be done again, you can bet Benn would be in the top five overall, instead of top five rounds. Sure, there was some luck involved. There was some good work behind the pick too, as there is with any late-round gem. The player’s name isn’t picked out of a hat. Someone had to scout the player, had to see something in him. Dennis would be Stars scout Dennis Holland, whose region includes the British Columbia Hockey League, where Benn was playing for his hometown Victoria Grizzlies in his draft year. Benn is one of the top young NHL players now, but five years ago, nobody was predicting he’d be where he is today. The 17-year-old left wing was putting up some big numbers for Victoria during the 2006-07 season, but he wasn’t creating much of a ruckus on the radar of those scouting young talent for the NHL draft. The BCHL, a Junior ‘A’ league, is a level below and isn’t as heavily scouted as the Canada’s Major Junior hockey leagues – the Ontario Hockey League, Western Hockey League and Quebec Major Junior Hockey League – which produces a majority of draft picks each year, including 46 percent of the players drafted by NHL teams in 2007. Playing in Victoria didn’t help – as you just don’t hop in your car and drive to Victoria, which is on Vancouver Island. Adding to Benn’s low profile that year was that he did not get invited to play at two events where he might have caught the attention of several scouts. One was the Junior ‘A’ Challenge, a tournament featuring top Junior ‘A’ players from Canada and other countries. The other was then called the CJAHL Top Prospects game, which featured top Junior ‘A’ players from around Canada'. Dennis Holland was the scout responsible for getting Benn to Dallas. “He was a young man who didn’t get a whole bunch of viewings, didn’t get a whole bunch of respect from his league,” said Holland. But Holland was among the scouts who did see Benn play and saw a kid with some good attributes and plenty of potential. Take five scouts, have them look at a player and you might get five different assessments. But one weakness noted by a lot of the scouting reports on Benn at the time was his skating. The Red Line Report, an independent scouting service, was particularly harsh, ranking Benn among the five slowest players in the draft. “We’re not sure if he’s really that slow, or he just refuses to move,” Red Line Report said in its 2007 Draft Guide. Holland saw the skating issue differently. A key factor in evaluating any player over time is how he progresses over time and the improvement he makes. Holland admitted that after seeing Benn early on, it was tough to go back for more looks because of the travel to Victoria and because he had to see other games, other players. He did, however, have an extra set of eyes on Benn. And that meant a call to catch up with family matters might include Holland catching up with how that Benn kid was faring as well. It would go something like this, according to Holland. Holland did make it back to see Benn late in the Grizzlies’ season, and it was like rekindling an old flame. Benn finished the season with 42 goals and 23 assists in 52 games for Victoria. The Stars scouting staff liked the skills and the potential for growth. 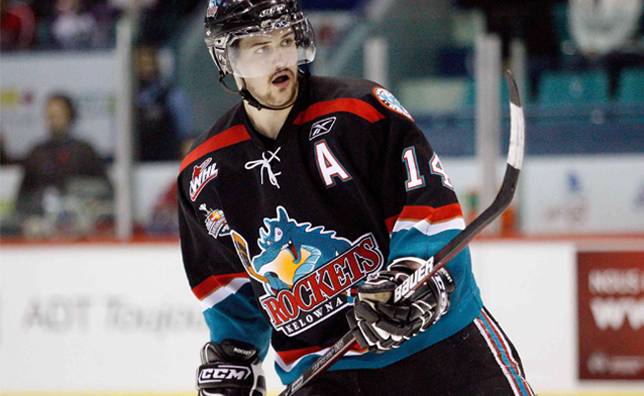 Benn skating for the Kelowna Rockets of WHL in 2007. When everything was added up, it didn’t make Benn – still that “raw talent” – someone projected to go in the upper end of the draft. Central Scouting had Benn ranked 107th going into the draft, and that was among forwards and defensemen playing in North America. International Scouting Services, an independent ranking service, had him 154th. Another independent service, McKeen’s, had him ranked 174th. The Red Line Report, which had ripped his skating, didn’t have him listed among its top 300 players eligible for the draft. 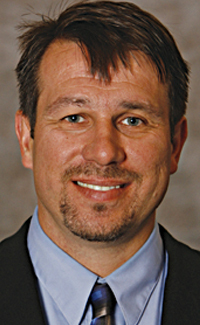 Holland remembered Dallas having Benn slotted in the fourth round, and the Stars entered the 2007 draft with two picks in the fourth. But they ended up trading one of them (94th overall) to Columbus for three additional fifth round picks (128th, 129th and 149th). With their remaining fourth round pick (112th overall) they opted to take right wing Colton Sceviour from the Portland Winterhawks of the Western Hockey League. And then it was onto the fifth round, where the Stars now had four picks thanks to that trade with the Blue Jackets. With their first of four picks in the fifth round (128th overall) the Stars took right wing Austin Smith, a Dallas native, who had played at a Connecticut prep school that season. And then with the next pick, the 129th overall, the Stars selected Benn. The rest, as is often said, is history. “Talking to other scouts, they can’t believe how far he has come with skating,” Holland said. Benn’s made some impressive strides in his three-year NHL career. His 70 goals rank fourth among all players taken in the 2007 draft and his 160 points rank fifth. If you break it down to points-per-game, he ranks second only to Patrick Kane, who was taken first overall by Chicago that year.